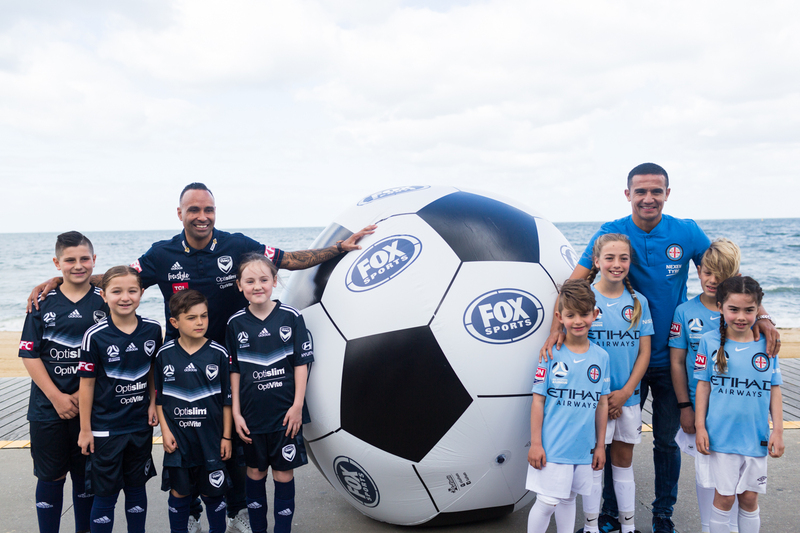 Melbourne City superstar, Tim Cahill and Melbourne Victory legend, Archie Thompson, came together today to launch the Hyundai A-League’s Melbourne derby on FOX SPORTS, on Foxtel. 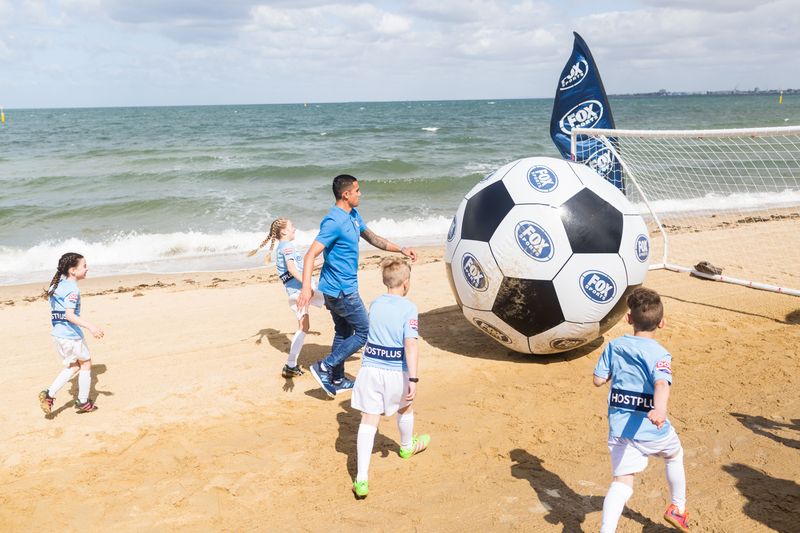 To celebrate the return of FOX SPORTS’ Summer of Football and the big Saturday night game, Cahill and Thompson took to the sand at St Kilda to kick a giant inflatable football along the beach. The Victory v City showdown kicks off at 7.50pm EDT on Saturday, LIVE and ad-break free during play on FOX SPORTS 501, and for the first time, LIVE on Network Ten’s ONE, with FOX on ONE. The free-to-air broadcast is part of a new, three-hour programming block produced by FOX SPORTS for Network Ten on ONE. 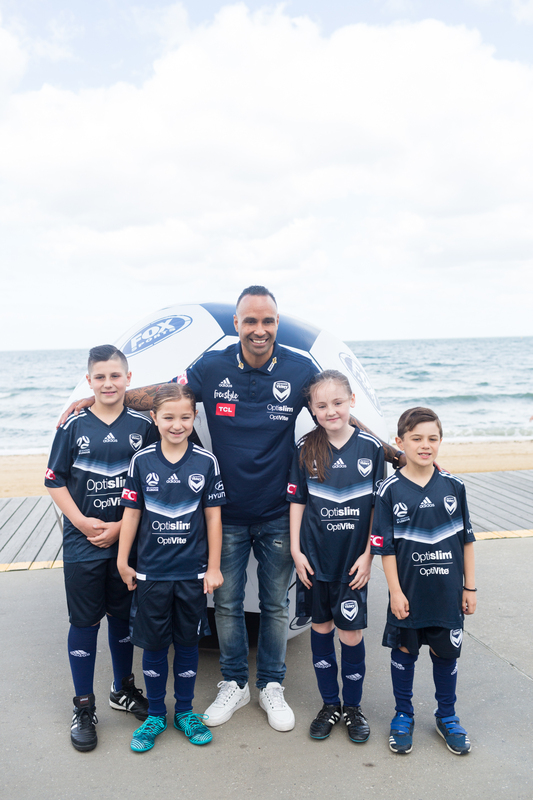 It includes FOX SPORTS’ popular entertainment show, Back Page LIVE with Tony Squires and Kelli Underwood at 7pm, followed by FOX SPORTS’ LIVE broadcast of the Saturday night Hyundai A-League fixture. The new partnership will help grow Football in Australia providing more fans with a taste of A-League action. 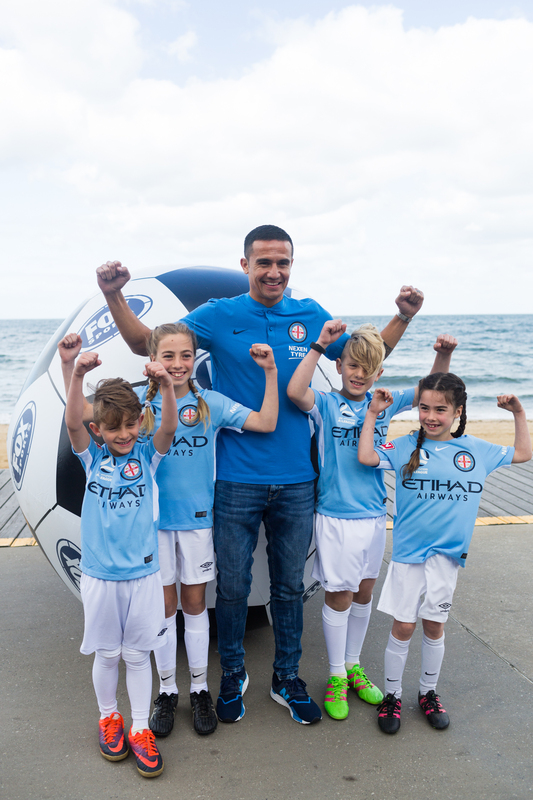 Commenting from the launch, Cahill said: “The Melbourne derby is this week and the A-League has just launched and I feel it’s important we can put on a good performance for the City and Victory fans and have that derby atmosphere.